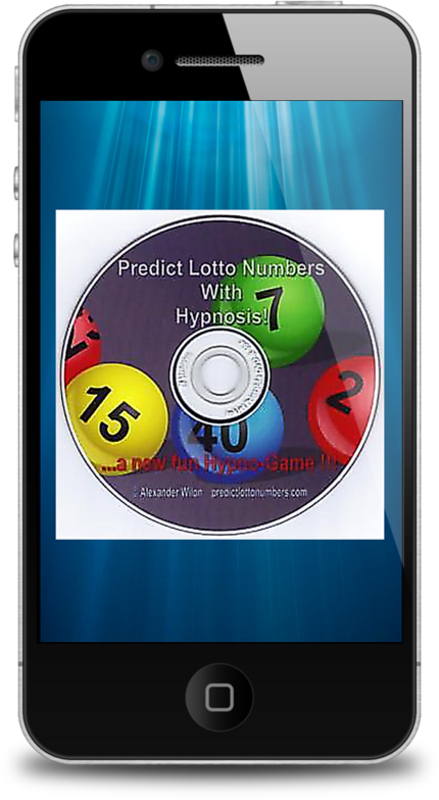 Predict Lotto Numbers With Hypnosis Audio Only - Download Misc. The Predict Lotto Numbers With Hypnosis Audio Only is an MP3 file of the highest quality which features on my popular video. The Mp3 is embedded with synthesized Isochronic Tones. You will hear these as gentle tapping and at times clickings sounds. This is state of the art technology that helps you relax and immerse yourself in the experience. The Mp3 will gently guide you in a relaxed state and then assist you to select the 6 numbers for your local Saturday Game. No matter where you are in the world if your Saturday Lotto game consists of a total of six numbers or less you can use this hypnosis MP3 to help you select the numbers. The audio file is compatible with the iPhone and other smartphones and tablets. It is a high-quality Mp3 format. So now you can have your very own lottery predictor file on your smartphone. The audio also includes brain entrainment tones and a technology that is capable of driving your light goggles if you have them. These are not necessary but desirable. Please do not use this audio file if you are receiving mental health care or have been diagnosed with epilepsy. Please use headphones to get the benefit of the embedded tones. During the testing process, I distributed the hypnosis session to a group of people. The first tester of this product predicted 4 out of the 6 lottery numbers and won a nice sum of money (90 Euros). Of course, there is no guarantee that you will guess the right numbers. However, this is a fun way to pick your Lotto Numbers. You are also likely to emerge from the session more relaxed.